"On the one hand there’s been so much progress in twenty years. Then you look at it all sideways and squint, and it feels like nothing’s changed at all. Some days, lately, it feels like the whole country’s Laramie." 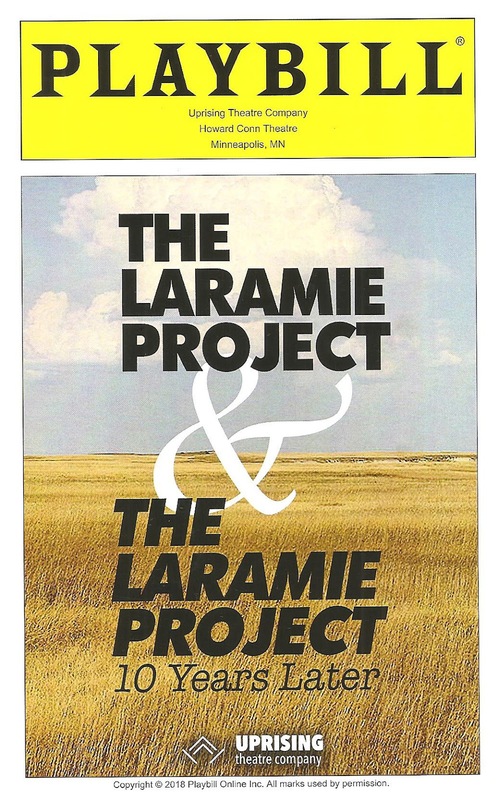 "Learning about the people of Laramie, Wyoming and Shepard's life is one of the best ways I can think of to understand where we need to go to change hearts and minds and protect our LGBTQIA family." "Both are beautiful plays about the power of theater, the power of community, the power of speaking out against hate." 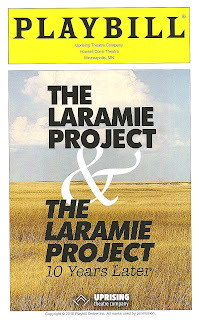 Uprising Theatre Company's THE LARAMIE PROJECT (original & 10 years later) runs through Nov 17 at Howard Conn Fine Arts Center.